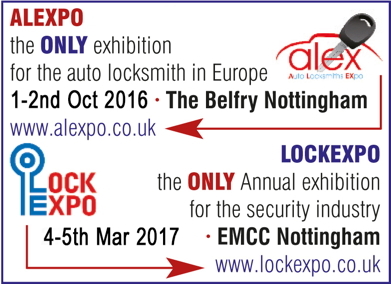 Held on 1st and 2nd October this very popular exhibition is for technicians who make and re-programme keys to vehicles. All the leading suppliers of the equipment needed to perform this work will be exhibiting at the show. Even if you're only mildly curious, come and see what it is all about. Check the website www.alexpo.co.uk for more details or to register for free. There will be product demos and brief 'how to do it' demo's as well.